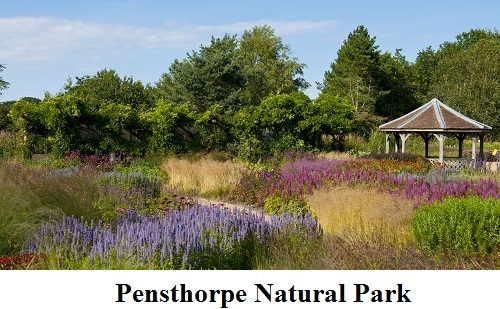 The Millennium Garden at Pensthorpe Natural Park was designed by Piet Oudolf, the internationally acclaimed plantsman.His revolutionary style of naturalistic planting fits so perfectly into the landscape at Pensthorpe that it is difficult to see where the garden begins and ends. Deep borders of grasses and perennials planted in bold drifts create dramatic waves of texture and colour. But this is not a garden of exotics, you will see familiar English herbaceous border plants used in such a way that you are prompted to look again, such is the startling effect. The Wave Garden - Designed by Julie Toll, herself a Chelsea Flower Show gold medal winner, the Wave Garden has turned a corner of Pensthorpe into a spring and early summer garden. The creation of the garden will again blend the natural with the formal. 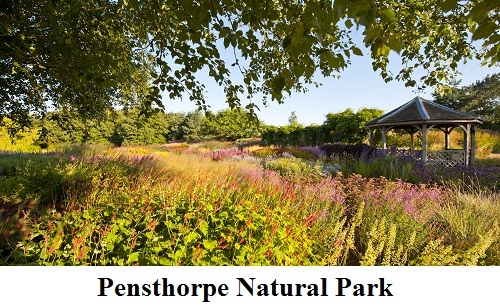 2019 Pensthorpe Open all year - see website - Cafe, shop, disabled access. Closed Christmas Day and Boxing Day. If you want to take a break near Pensthorpe, why not stay in one of our recommended hotels. Each hotel has genuine guest reviews enabling you to book from anywhere in the world in total confidence. 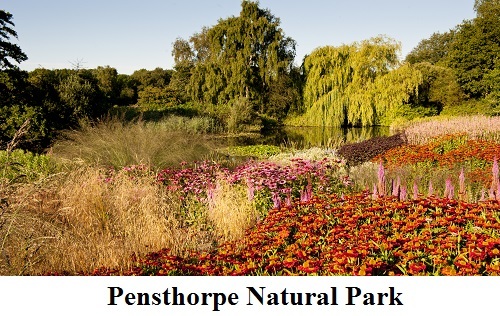 Look now for Pensthorpe Hotels- click here.